There are some indulgent desserts arriving in the shops for the winter and Christmas seasons, and some of these are from the big brands. Cadbury have brought out these Dairy Milk Cadbury Caramel Cheesecakes, there are two pots in the pack, and they looked like a nice treat so I picked them up. 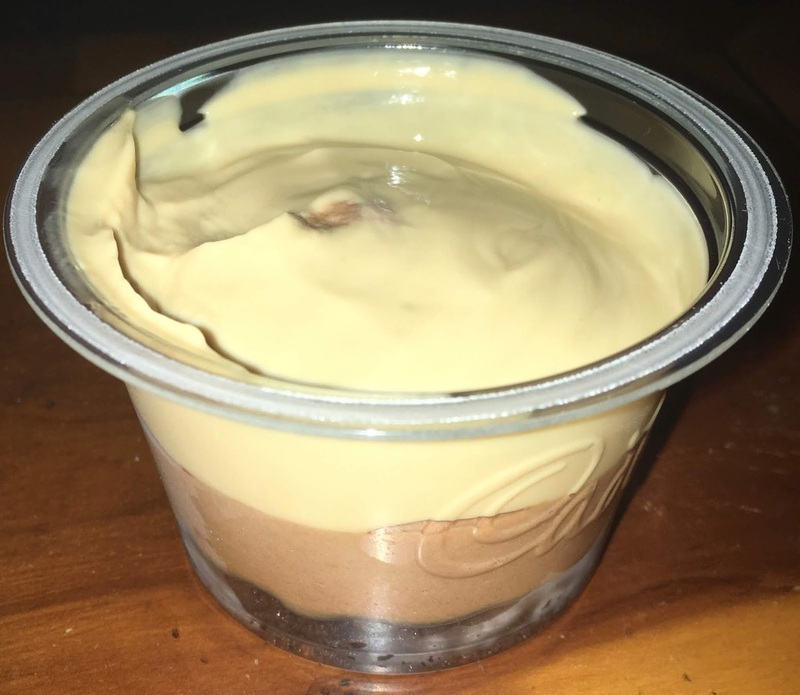 The pots have three layers inside, a biscuits base, a chocolate cheese cake section and a caramel topping. I tucked in and a few things confused me. Firstly the biscuit base was loose. If I’m making a cheesecake at home I press the biscuits bits into the base of the tin making them firm. These were quite loose, not a problem, just an observation. The next part was a bit more weird, the chocolate section was so chocolatey and light and airy I actually went back to the box to check this was supposed to be a cheesecake. Had it not said so I would have guess it was a divine chocolate mousse. 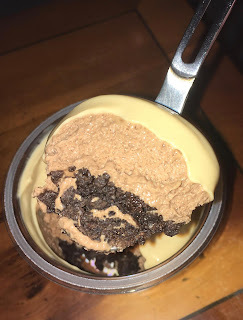 It tasted really nice, loads of sweet creamy chocolate, but I think it missed the boat by having the cocoa overpower the cheesecake flavour. The top layer of caramel was fab, almost sweet golden syrup like, I could have eaten a tub of this on its own!!! Yum. 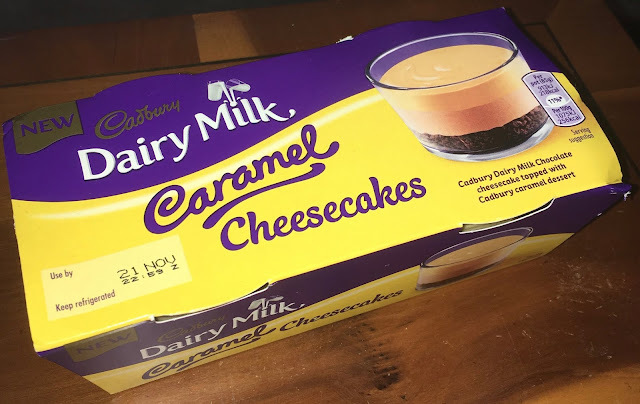 In conclusion this is a very tasty dessert with all the flavours of Dairy Milk Cadbury Caramel and plenty of chocolate, it is just not too strong on the old cheesecake section. 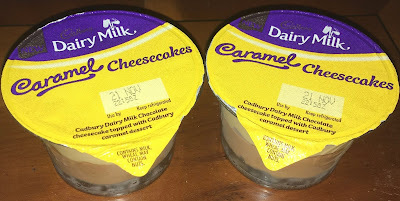 Sadly it is called Dairy Milk Cadbury Caramel Cheesecakes and not mousse dessert.